It's St Andrew's Day. Scotland's patron saint. Last year we were in Edinburgh, chilled to the bone and walking through the Castle. 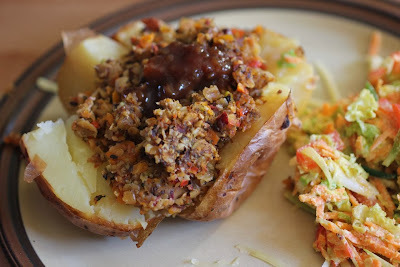 This year we went to the Melbourne Museum and then home to baked potatoes with vegetarian haggis, in memory of the wonderful baked potatoes in Cockburn Street, Edinburgh. We ate dinner in front of Brave, a brilliant Scottish film (aimed at kids but such a great story it appeals to all ages). It wasn't a fancy meal. 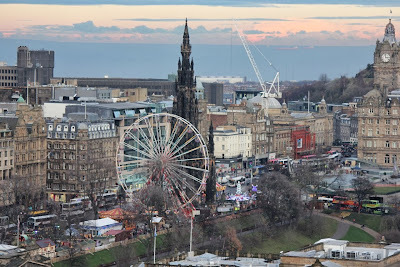 So in lieu of some Scottish background, I give you a photo of one of the views we enjoyed from Edinburgh Castle last year. It is no coincidence that I am posting this recipe for vegan fish fingers on a Friday. Old habits died hard. During my childhood we always had fish on Fridays in Lent and often on other fish fingers. That was what Catholics did. Earlier this year I tried making veg fish fingers for the first time. 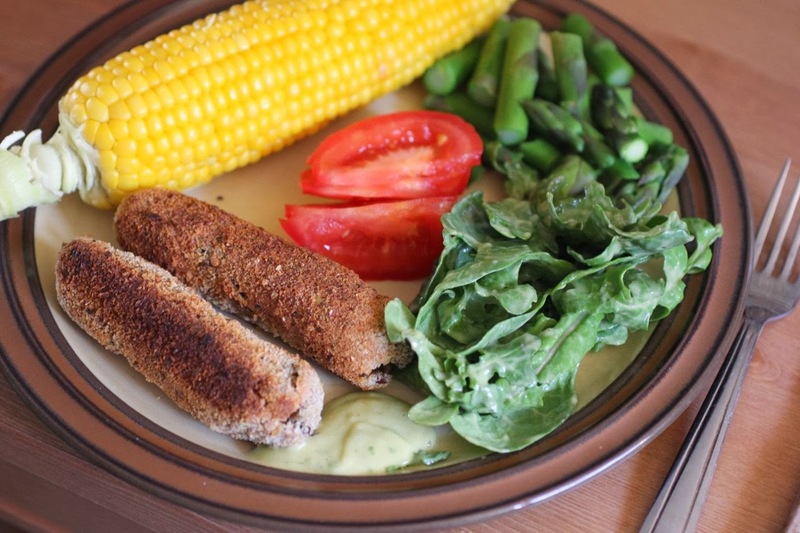 They were tasty but it made me curious to try other faux fish finger recipes. Recently I tried a very different recipe. 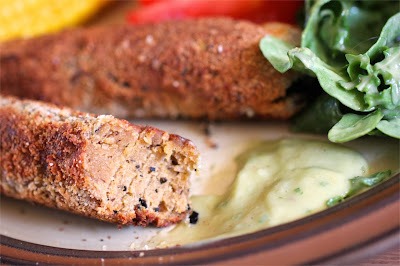 The first recipe I tried was a marinated tofu that was then dipped in breadcrumbs. This recipe I made recently was quite different. 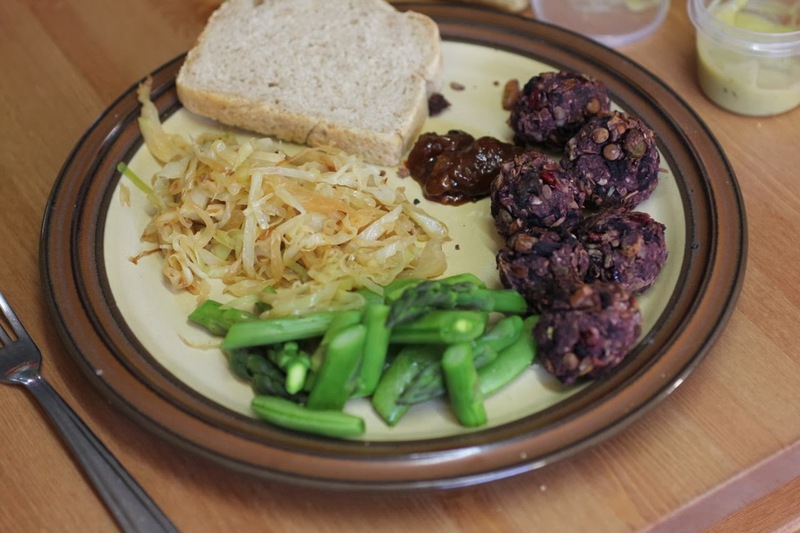 It was a mixture of soy, maize and gluten flours kneaded with other seasonings. Yet again I enjoyed the dish but did not think it that close to fish fingers. In fact it was less like fish fingers than the tofu one. Not white or flaky or even oblong. They were more like sausages. Impressive sausages. 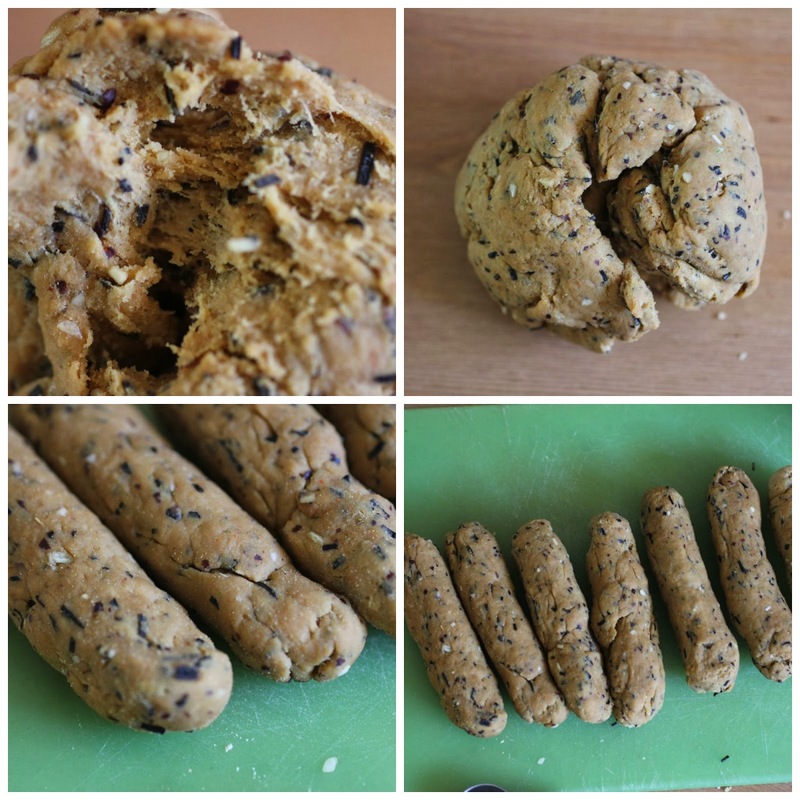 I've tried making a variation of the classic PPK sausage recipe before but it was too much gluten for me. The 'fish fingers' recipe has more variety of flours and did not require steaming. The recipe I was following said to bake them but it was a hot day so I fried them. Despite the addition of dulse powder and seaweed, E said he couldn't taste seafood flavour at all. I though I caught a faint whiff but maybe it was my mind smelling it rather than my nose. I was really pleased that Sylvia enjoyed her sausage but she asked if I could do tofu fish fingers next time. I used to love mayonnaise with my fish fingers as a kid. I had planned to make Fat Free Vegan's tofu-cashew mayonnaise but lacked the ingredients. Instead I used some avocado to make this green goddess salad dressing. It worked really well with the fish fingers. I will be making this recipe again but with different expectations and a few different seasonings. Perhaps a bit of nutritional yeast flakes, some fennel, maybe even some herbs. 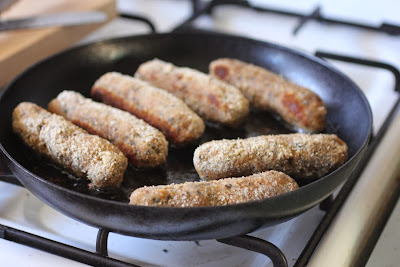 I might not have found my perfect fish fingers recipe but I think I have found a great sausage recipe. 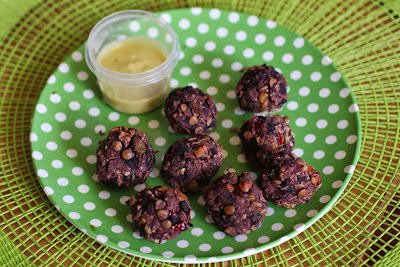 I am sending this recipe to Ricki Heller's Wellness Weekends a weekly collection of healthy recipes from bloggers. 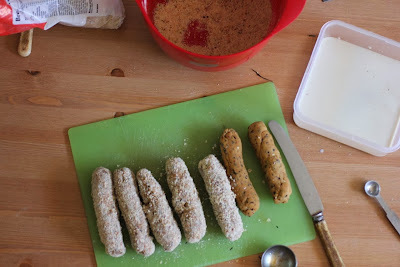 Mix all ingredients (except milk, breadcrumbs and oil) into a dough. Knead for a few minutes until gluten strings appear. If it is a bit dry (mine was) add a teaspoon or two of water. Heat oil in a non stick, heavy bottom frypan and fry the fish fingers until golden brown all over. (Alternatively they can be oven baked.) Eat warm. Busy times. Chocolate coconut cupcakes. Craft stars. Rainbow hair. Sunshine. Birthdays. Playing catch. Museum. Laughter. The park. Cafes. Headaches (mine). The cinema. Weeding. School orientation. Fetes. Sewing up holes. Ukeleles. 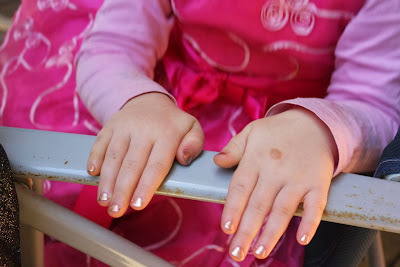 Painted nails. Vacuuming. Art gallery. Lunchboxes. Christmas decorations. A hacking cough (Sylvia's). 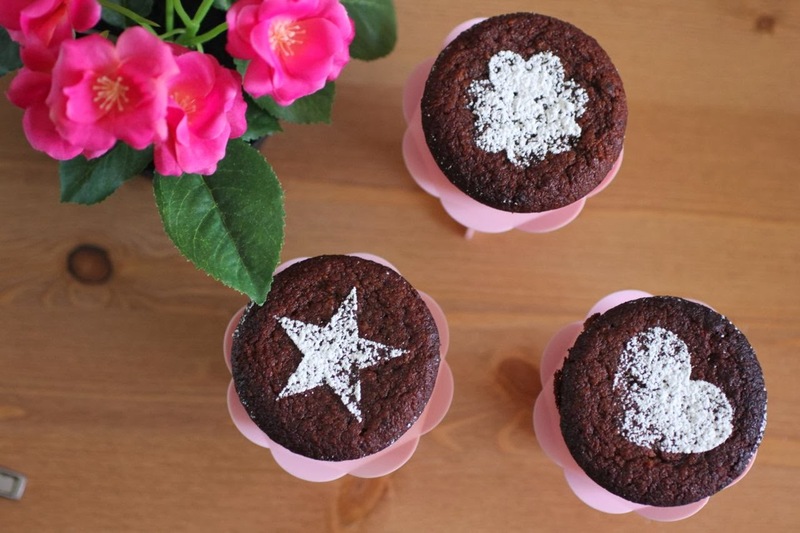 Gingerbread stars. New cookbooks. Swimming. It really does feel like the end of year has hit us with a Bam! We have had a few fetes. The first was at Kerriemuir Primary School in Box Hill where E performed with the ukelele group. 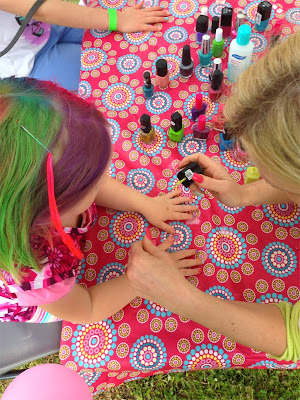 Sylvia was excited by the hair spray, nail painting and snow cones but not so keen on the animal nursery and bouncy castle. I was disappointed the cake stall was sold out but made do with very good strawberry jam. Sylvia's disappointment was that the band playing a Beatles song was not actually the Beatles. Even worse I had to break it to her that the Beatles had split up some years ago. Then last weekend we had Sylvia's kinder fun day. I really like all the craft activities set up for the kids. E sat at the trash and treasure stall for a while. Sylvia ran around with her friends, all with face paint on and big smiles. She had a short go at the bouncy castle but once the novelty wore off she preferred their little play equipment in their yard. 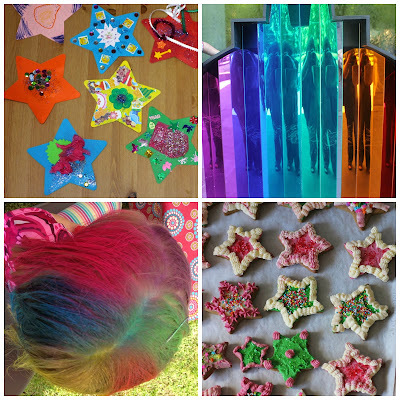 A few days before the fun day, my friend Yaz visited and we spent some companionable time together baking and decorating gingerbread stars. Yaz impressed me with his piping skills that made sure we used up the buttercream. Sylvia loved them and spent many happy hours counting her coins she was going to use to buy some stars for her and her friends. Actually there were about two or three other sets of gingerbread stars at the fun day cake stall. Who knew it was such a popular idea. 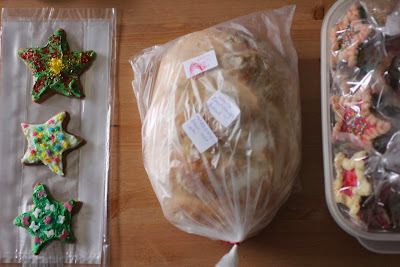 Most of my stars were sold and so was the loaf of sourdough bread I took along. I really appreciated that our fun day had vegetarian sausages and some tomato and cheese pizza as well as salad and fruit salad. Though my favourite food was the amazing brownies that I was quite smitten with. I also admired the person who made great labels for gingerbread stars and cheese biscuits with string and handwritten list of ingredients. Packaging is always a challenge for me. I had a surprise when they announced the prizes. I won a kitchen pack (below) in the silent auction. (That is the one where you write down a price on a piece of paper and the next person can write a higher price and on and on until the auction closes.) 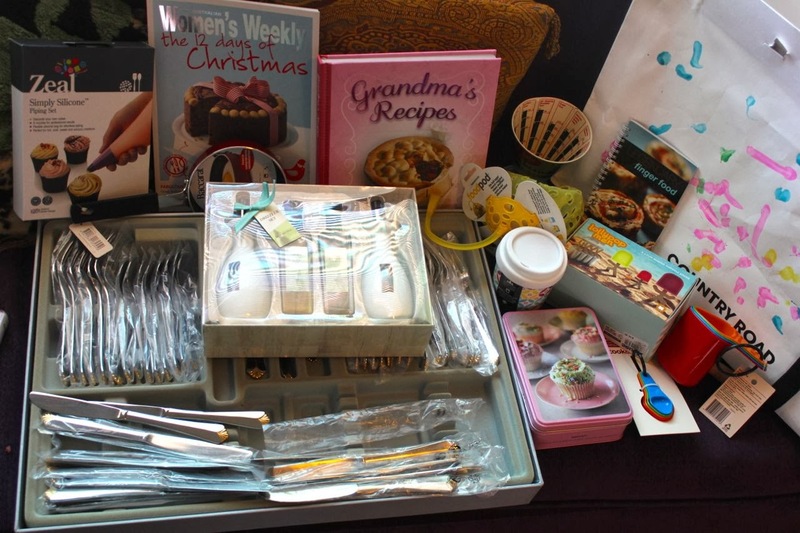 Our cutlery drawer is overflowing so I am a bit overwhelmed at a cutlery set but I love a few new cookbooks, a silicone piping set, new measuring cups and spoons, an oil and vinegar set, a keep cup and some notecards. It makes me a little sad that Sylvia only has about a month left of kinder. However it is exciting that she will start school next year. We have had three orientation mornings and she now has her uniform and school bag. (Yes I hear your cries of "surely she is not already old enough for school!") You can see her red school hat below. We have also been doing some practice lunchboxes at her kinder (which usually caters her lunches). It is sushi tomorrow! 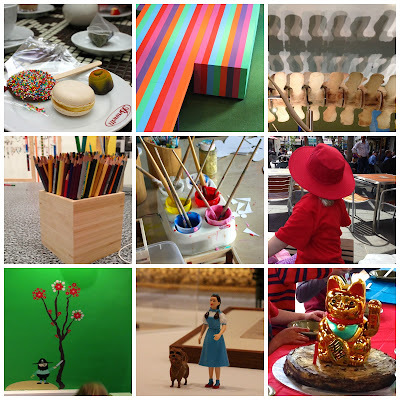 In the above photo is (clockwise from topleft) is 1) afternoon tea with my parents at Brunetti after the fun day; 2) the stage at the National Gallery of Victoria where we saw The Choir of Hard Knocks play; 3) a whale bone at Melbourne Museum where we met my friend Amy and kids recently when it seemed a bit hot for the park; 4) Sylvia after school orientation; 5) a cat cake for a cat loving little boy (he wants to be known as Ginger) at his birthday party; 6) Dorothy and Toto in Patrick Pound's The Gallery of Air installation at the gallery when I visited with my mum before the Night Noodle Market; 7) the Royal Arcade toyshop where I wish I could do all my kiddie Christmas shopping - we visited on a trip to see some Christmas decorations in the city 8) craft at the gallery as part of Melbourne Now; and in the middle 9) paint at the kinder fun day. I haven't even mentioned that I finally got out to see a movie at the cinema this week - Enough Said with Julia Louis-Dreyfus and James Gandolfini. Great movie that felt quite real and provided an interesting exploration of relationships. I have also been visiting some impressive cafes so I might write about some soon. 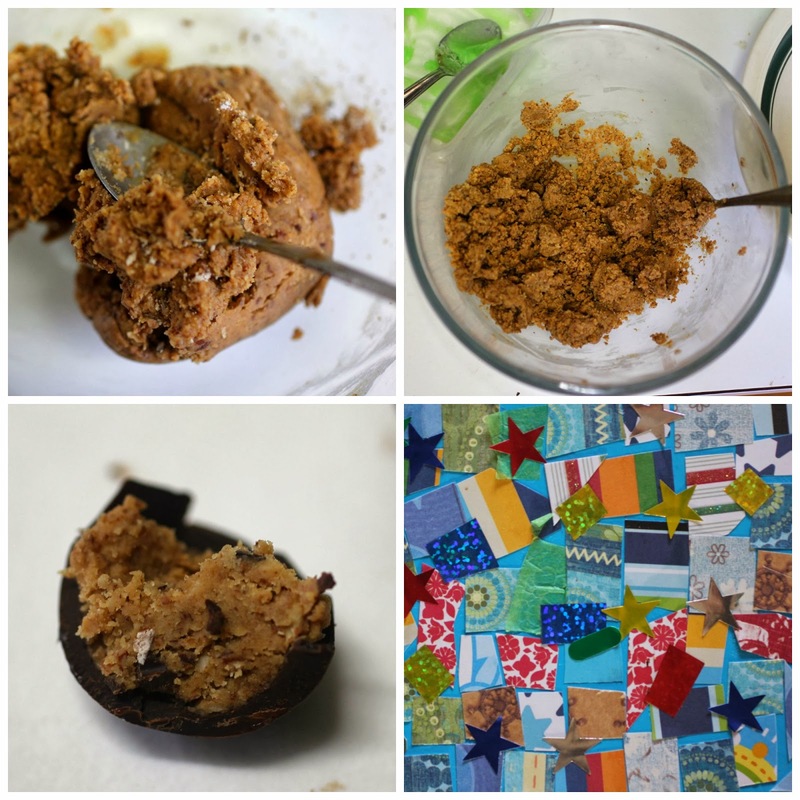 And for those of you who are also busy and finding the housework is taking a back row seat, you might find some comfort in this Smitten Kitchen post. But I was going to tell you about cupcakes. I made these for my nieces' birthday. 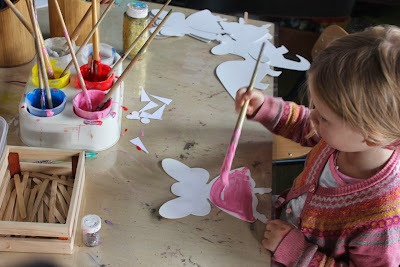 In the past I have made a butterfly, flowers and a dragon. This year Grace was feeling too mature for such childish cakes and asked for a chocolate cake with icing. I handed that task to my mum and decided to make some cupcakes. I had planned to make cupcakes that I could decorate with the buttercream icing that was lingering in the fridge. After I chose the chocolate coconut cupcakes I found that the frosting was actually coconut cream. 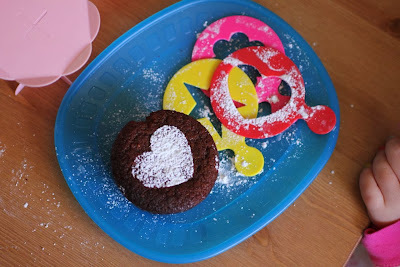 I continued to ignore the buttercream and decided on some icing sugar sifted over stencils. 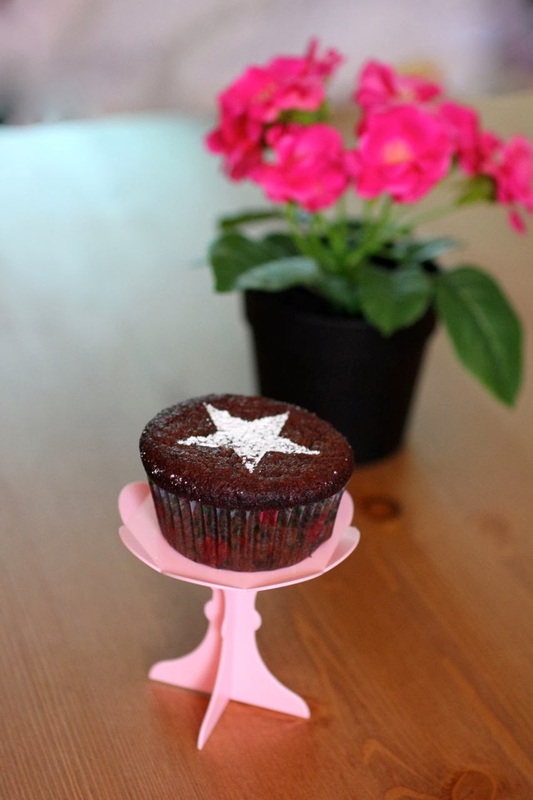 This looked great on the cupcakes I photographed at home but had melted away by the time I got to my mum's for the birthday lunch. 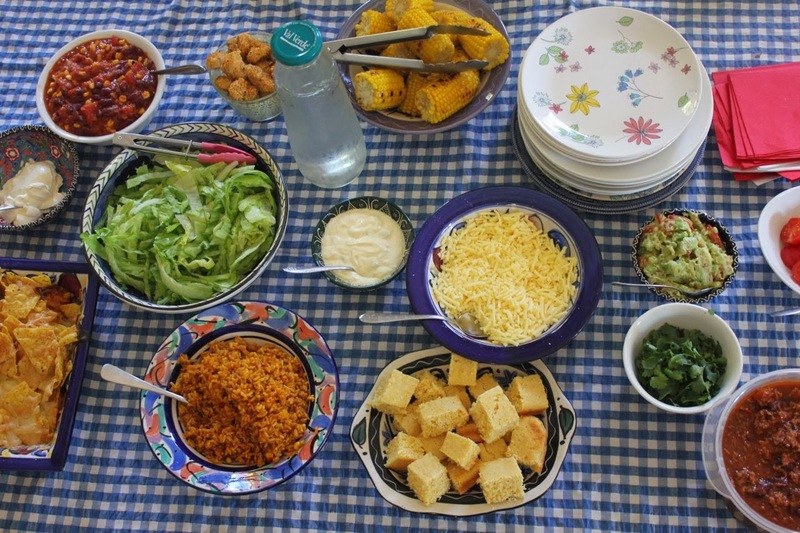 My mum made an amazing Mexican lunch: nachos, tacos, tortillas, corn on the cob, cornbread, guacamole, Mexican rice, tomatoes, chilli non carne, cheese etc etc. It was very filling but I still made room for dessert. My mum had made pavlova and chocolate mud cake. And we had my cupcakes. I chose the cupcakes because they were gluten free and only had 2 eggs. (Not 6 or 8 as is often the way in a GF recipe.) Of course I love a cupcake with chocolate and with honey rather than sugar. I made a few changes including increasing the honey and the cocoa because the mixture seemed to need a lift. I really liked these cupcakes. Like many GF bakes, they were a bit fragile. They were chewy on the outside and soft almost pudding-like - on the inside. I'd like to try them with melted chocolate as well as cocoa and perhaps a little less liquid to make them sturdier. True to my family's fickle nature, it was not one of the birthday girls but my niece Quin who really took a shine to them. I haven't been doing lots of bloggable cooking lately (though I still have a blog backlog) but am excited that our stash of this chocolate cake in the freezer is almost finished. I have been promising myself to wait until it is all eaten before I bake more for us at home. Life might be busy but there is always time to bake! Three years ago: On the way to make burgers I discovered a mash! Preheat oven until 180 C and line a 12 hole muffin tin with cupcake papers. Mix almond meal, coconut, cocoa and bicarb soda in a medium to large mixing bowl. In a small mixing bowl or large jug, mix together butter and honey until creamy. Bake for 20 -30 minutes until browned at the edges and a skewer inserted in the middle comes out clean. Cool on a wire rack. Keeps three days in an airtight container. 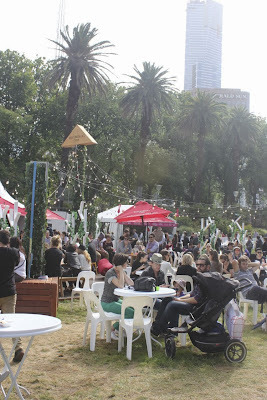 An unplanned early visit to the Good Food Night Noodle Market made for a pleasant afternoon on Sunday. 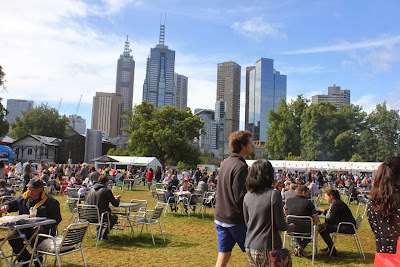 The market is a cluster of Asian-style eateries from Melbourne. Crowds were constantly making their way in to eat al fresco. My mother and I browsed the stalls, had a bite to eat and left while the sun had barely considered setting. The markets have been temporarily set up in the Alexandra Gardens between 18 and 30 November 2013. It is a charming location, on the banks of the Yarra River with the city skyline as the backdrop. Chinese lanterns and fairy lights were set up to add to the atmosphere if you stayed that late. The night markets open on 4pm on a weekend. We arrived at 4.10. There were lots of vacant tables and chairs but the ground was already soggy in places from the rain we had had. We passed Chin Chin's stall where my mum bought some chilli caramel popcorn to snack on. It was very good, albeit quite spicy for me. Mum spotted someone with dumplings and asked where they were from. I don't remember the stall but I think it was the one with the longest queue. 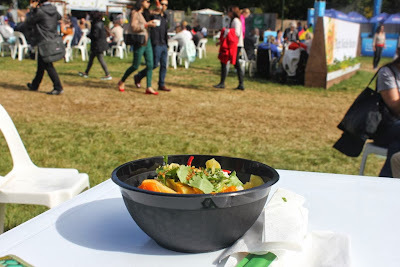 While mum waited, I walked around the stalls to see what sort of vegetarian food was on offer. I was pleased with the choice. I was tempted by I Love Pho's Vegetarian Pho, Spanthai's Vegetarian pad see ew, a freshly made papaya salad (which I assumed could be made vegetarian) and spring onion pancakes. These are all dishes I would love to try when eating out but rarely get a chance. 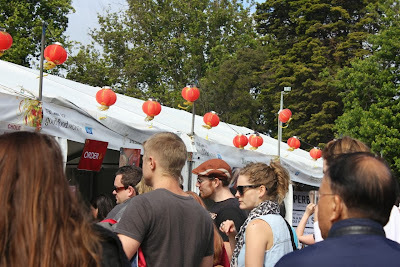 I regret not taking notes on the Wonderbao vegetarian offerings but the queue was so long I didn't hang around. By the time I had checked out the stalls my mum was just placing her order for dumplings. She gave me my plate of veg dumplings but had to go back for hers. 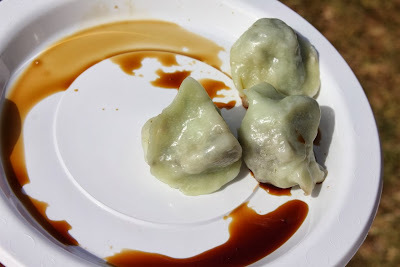 I really enjoyed the dumplings. They had a simple but fresh and tasty filling of mushrooms and greens. We then decided to buy a our early dinners at Longrain. I was attracted by the focus on a few vegetables rather than a generic vegetarian version on a dish in their veg offering. 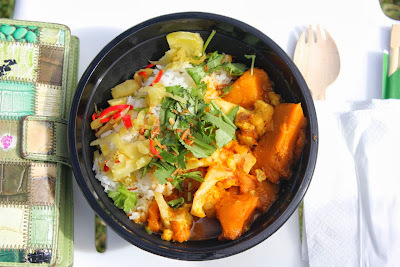 My yellow curry of cauliflower, pumpkin, mustard greens and chilli was rather good. Very spicy. But nicely cooked vegetables (were the pickled vegetables the mustard greens?) and lots of rice to mop it up. What really amazed me was that by this time (4.30) there were no free tables. We managed to nab a few lone chairs. Then I heard someone say 'I guess we will lose our tables' as they walked away. Oh yeah, I thought, as I took possession of the table. Then, just as I was about to go and buy a drink, a waiter came to our table to offer us to do it for me. 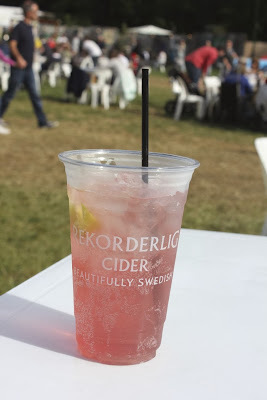 Mum and I shared a Strawberry and Lime Cider from Rekorderling. It was delicious and fruity. I do think that it was so easy to drink that you could get drunk on it rather quickly. It made the chilli in my meal more palatable. Then we were ready to leave. Though the ice cream, sundaes and pancakes were tempting, we had eaten enough. 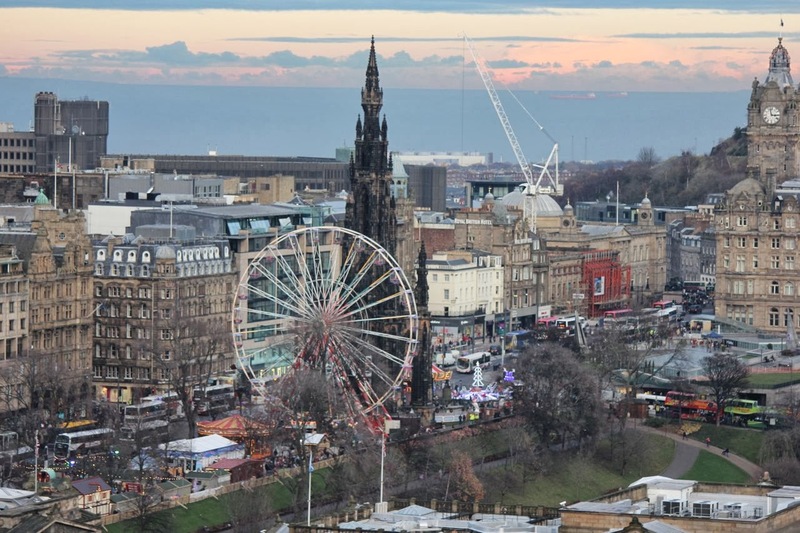 I would have liked to see it lit up at night but it was so busy so early that I don't think I would fancy being there when it was any busier - and by all reports it did get far far busier. NOTE: I had read Steph's post on Vegan About Town. (If my internet connection wasn't so bad tonight I might have checked out other reviews.) She had quite different expectations and a very different (very negative) experience. I think going early suited us. I don't eat out a lot and so this was a nice chance to try different dishes, even if I don't recognise many of the stall names. 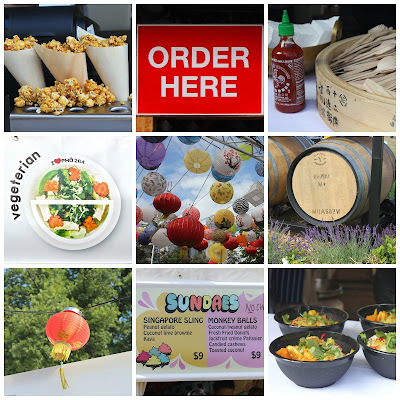 However if you expect a traditional Asian night market, it is worth reading Steph's reflections. I was quite taken with Angela's Lentil Walnut Mushroom Balls with Cranberry-Pear Sauce that she recently posted for Thanksgiving. It is not Thanksgiving in Melbourne (now or ever) but it is the sort of recipe I love. In fact I thought if I made it into a loaf it would make a very nice nut roast. I didn't veer quite that far from the recipe. Not quite. However I didn't quite follow it. Here is what I did. 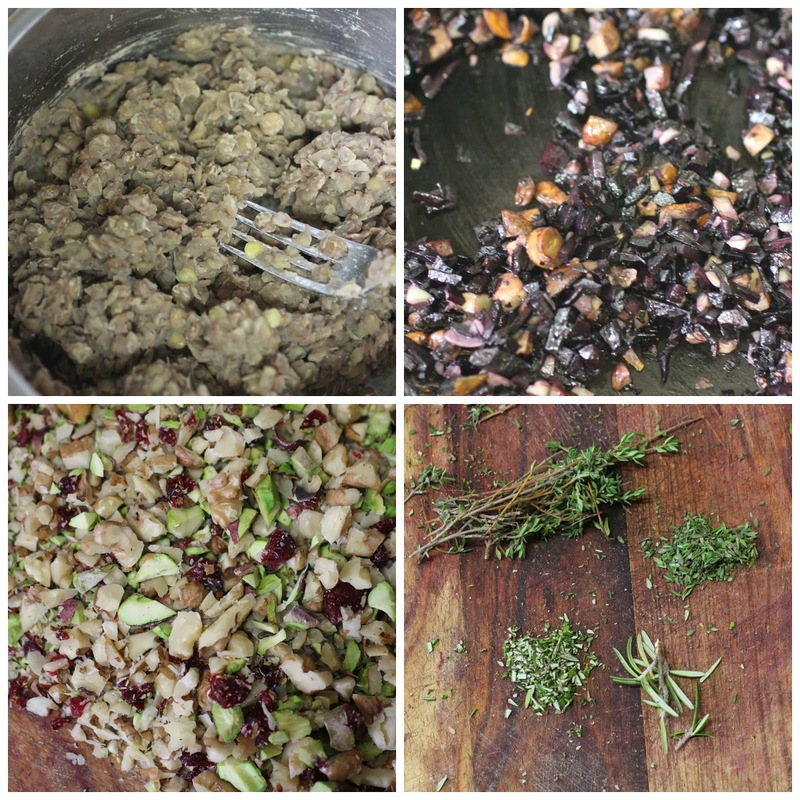 I didn't quite have enough walnuts or mushrooms but the recipe did seem a perfect opportunity to use up some unshelled walnuts, pistachios and purple carrots. It was only in writing up the recipe that I noticed that I only used half the amount of nuts. It took long enough to shell those. Though it was very relaxing to sit and shell pistachios with Sylvia watching Peppa Pig. Less relaxing when she suddenly wanted to eat walnuts and my stocks were so low. I finely chopped them with a knife but I think the mixture might have held better if I had coarsely ground them in a food processor or blender. I ignored Angela's instructions to measure the water for cooking the lentils. I was so sure they would take longer than she said. Then I drained them and - oops - I think some of the lentil sludge went down the sink. They might have held together better if I had followed instructions. I cut some fresh rosemary and thyme from the garden - lopping off a bit of camelia bush that got in my way. I didn't measure it. I carrots were so knobbly and gnarly that instead of grating, as first planned, I finely diced them. They cooked ok but might have held together if grated. (Are you starting to see a theme?) At this point I wasn't think of the mixture holding together. 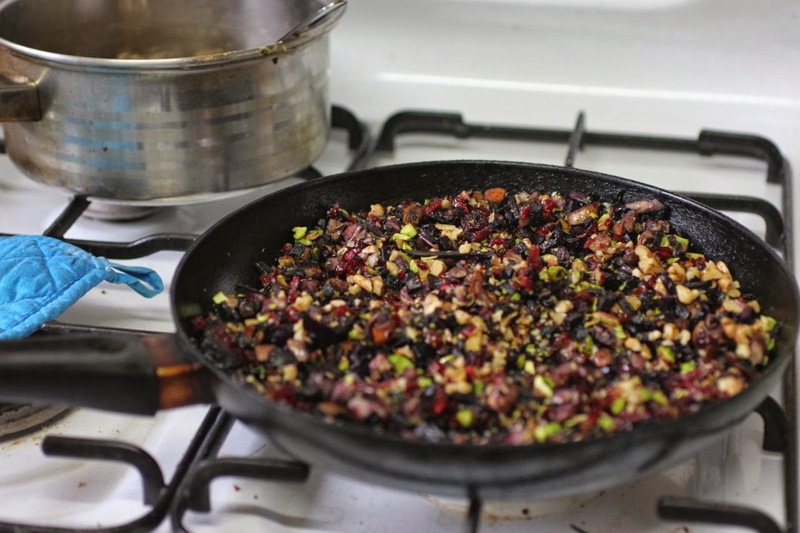 I was too busy admiring the gorgeous colours in the frypan. 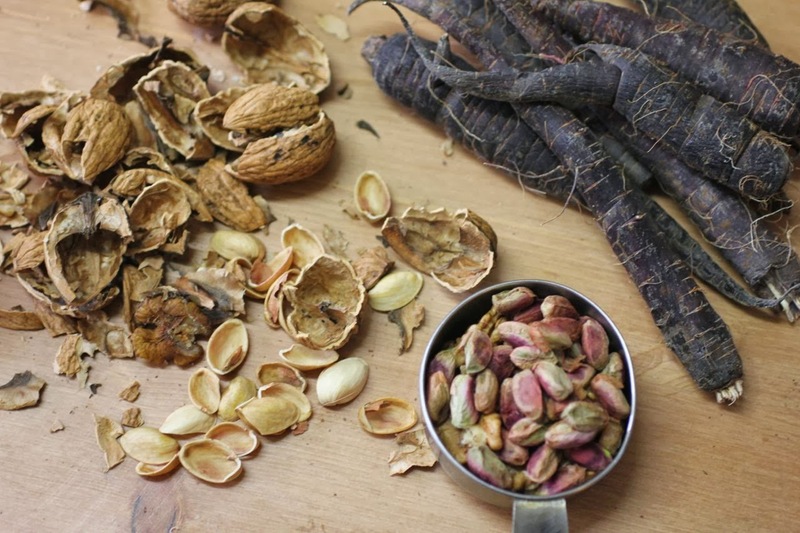 Purple carrots and green pistachios are so pretty together! They were quite oily after I misread 2 tablespoons rather than 2 teaspoons. I changed around a few other ingredients. I don't have sherry vinegar. I do have French lavender salt. I probably used too much salt. I did end up with these glorious purple balls. They didn't stick together very well. If you have been reading this whole post carefully, you will have some clues as to why. On the first night I made them I fried them. I was racing to have my dinner cooked to eat alongside Sylvia before she went to bed. With my slow old oven it seemed quicker. I didn't have the fresh cranberries or the time to make the sauce that Angela made. I looked out an old jar of cranberry sauce. It was horrid. I found a jar of chutney in the pantry dated 2010. It tasted wrong. 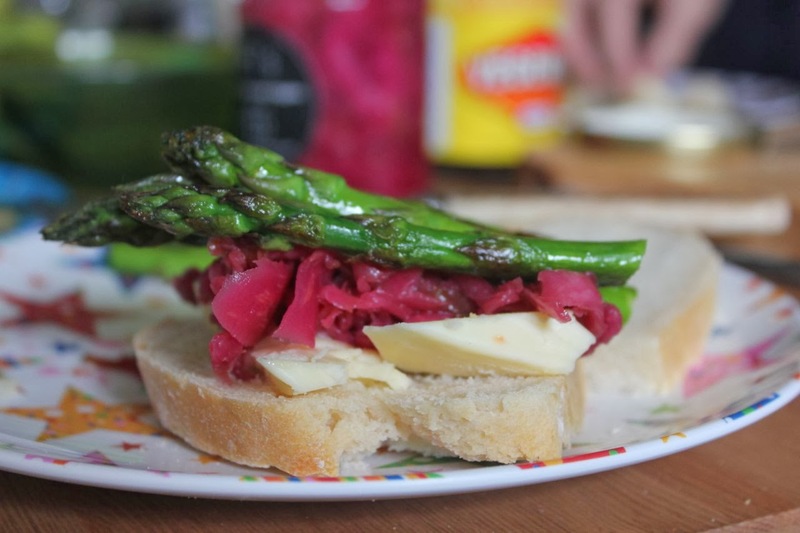 Finally I found a jar of Ploughman's relish that worked perfectly. I was surprised on the next night when I baked the remaining balls, to find I preferred them this way. They crisped up nicely and were far easier to cook. I also tried adding breadcrumbs but the mixture was still a bit crumbly. I tried them with an avocado salad dressing and quite liked that but also returned to the relish. I loved the colour. I loved all the interesting ingredients. I loved the balls in a sandwich with some relish and veg. I must work harder on making the mixture stick together. Three out of four aint bad! 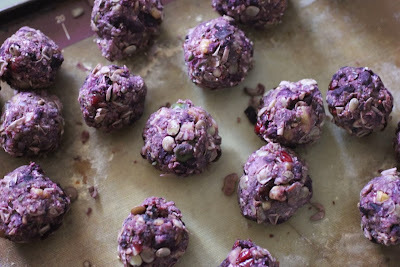 I am sending these balls to Ricki Heller for her Wellness Weekends event where bloggers share healthy recipes. Cook lentils for about 20 minutes or until just tender. Drain off any water. 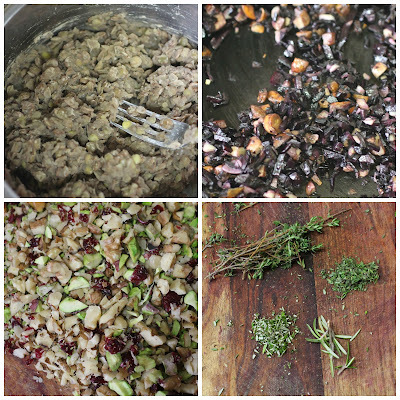 Lightly dry fry nuts and then finely chop - next time I will coarsely grind in food processor. Heat oil in frypan over medium high heat and fry carrots, mushrooms and garlic (I added them as I chopped them) for about 5 to 10 minutes until soft. 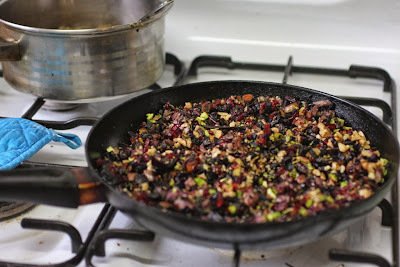 Stir in cranberries, herbs and balsamic vinegar for about 1 minute and remove from heat. Stir in linseed, water, oat flour, salt and pepper. Mix to a stiff dough. NOTE: My dough was a little crumbly so I added some breadcrumbs and water but this didn't make it must less crumbly - I think more nuts and more finely ground would help and perhaps even chopping the vegies finer and then if needed some more oat flour. 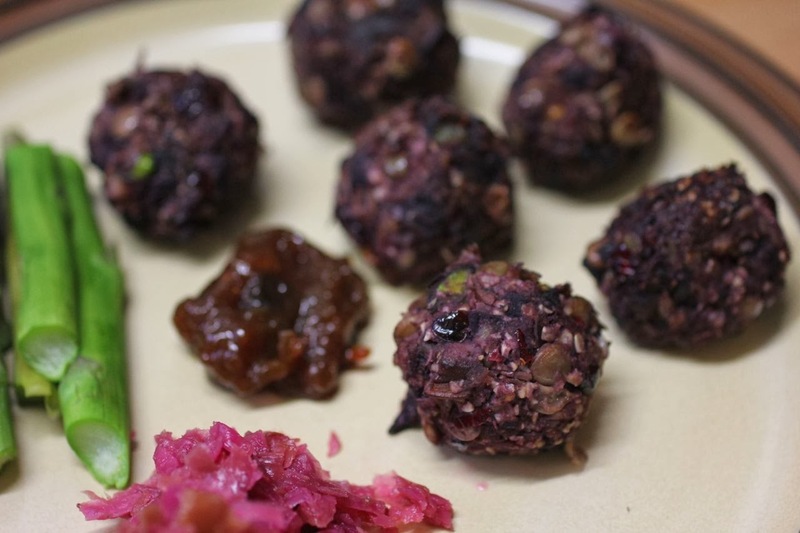 Roll into balls the size of walnuts. Place on lined oven tray and bake at 200 C for about 20 to 25 minutes or until lightly coloured and dry on the outside. Alternately you could fry in a little oil but I think the baked were just as good, if not better. 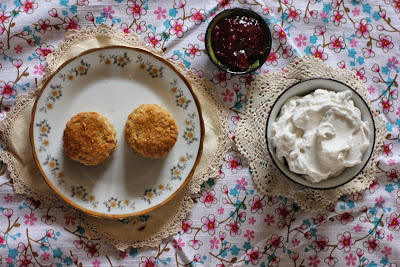 Delicious, sturdy nutritious scones held together with cashew butter, spread with jam and coconut cream. Perfect for a vegan high tea. Goodie goodie yum yum! Television show: The Goodies, comedy, 1970-1982, UK. The Goodies was a surreal and satirical British comedy based around three guys - Tim, Bill and Graham - who would do anything anytime anywhere, for a fee. It was here that I learnt about punk, pirate radio and police brutality. No wonder I have a skewed view of the world. Only later when I lived in Britain and started to find out about recent history did I learn about many of the real people, events and issues that they spoofed. As a young child I mainly loved the show for its silliness. Little did I know that this was an excellent introduction to the stuff of British comedy: cream pies, ridiculous costumes, and a pompous posh twit. I wanted a bicycle like theirs and a t-shirt with "The Goodies" on it. When I worked at the BBC in London I saw a taping of The Clive James Show and was very chuffed that one of the stars, Graham Garden, was on it. The show seemed to always be on the ABC just before we sat together at the table for tea (when we would turn off the telly because that Scary Doctor Who was starting). Episodes were often repeated. Which we loved. These were the days before video recording and we depended upon repeats to get to know favourite shows. One of my favourite episodes was the one with all the Rolf Harrises and the catchphrase "and don't the kids love it" but I guess that isn't so popular these days. I also loved the punk episode which made me afraid of punks who I thought wore huge safety pins in their ears. One of my favourite episodes (and there are many) is the Bunfight at the OK Tea Rooms. I don't think I saw a Western movie until I was an adult - though I watched F Troop and occasionally Little House on the Prairie on tv as a child. I did, however, understand scones with jam and cream. Scones were often eaten for afternoon tea at home or at my grandparents'. And I loved the silliness of The Goodies squirting jam and cream at each other. Not that my mother would ever have allowed that around our dining table where she would bring a batch of warm scones wrapped in a tea towel and top them with jam and cream for each of us (or vegemite if you were my brother who still is a little bit quirky)! 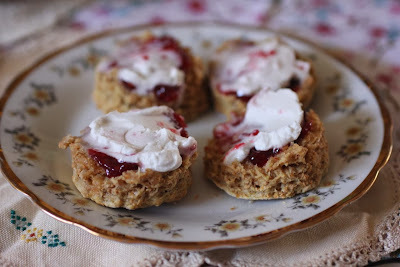 If you look through my recipe index you might notice that I love trying new scone recipes. I like them round, light and fluffy. These cashew butter scones are heavier than my usual ones. I was intrigued by the idea of adding peanut butter rather than butter. For us, with Sylvia's peanut allergy, I used cashew butter (and a spoonful of tahini when the cashew butter ran out). These scones were sturdy. Not a word my foremothers would have been proud to associate with scones. Yet they had a certain nutty wholesome charm. I had planned to make these for Vegan Mofo in September after seeing Sandy's peanut butter scone recipe. Then I ran out of time. Despite this, I still followed my plan to serve them vegan with jam and coconut cream. For those who are yet to discover the delights of leaving a can of coconut cream in the fridge overnight, it is a great way to separate the creamy solids from the water bits. Sort of like the unhomogenised milk we had as kids that had a layer of cream on top to be stirred or you could scoop the cream off the time and leave a watery milk for everyone else. My mum often added some icing sugar to cream for cakes and scones. I added a bit of maple syrup to my coconut version. Given that I am not a big fan of cream, it is not surprising that I wasn't so keen on the coconut cream. It tasted too much like cream to me. It looked right when whipped - using electric beaters - but melted too quickly on the scones and in the mouth. Not an experiment I'd bother to repeat. It made me appreciate why Ricki Heller spent so much time developing her whipped coconut cream (Check out her Naturally Sweet and Gluten-Free Cookbook for an updated recipe). I made these after we had been to see E performing with his fellow ukelele players. Sylvia and I then had a trip to the library and then park. After a busy afternoon, it was lovely to bake some scones and enjoy them on the verandah, even though the awning had been blown away in the recent winds. I'm happy to report we now have a nice new awning, thanks to our insurance company. 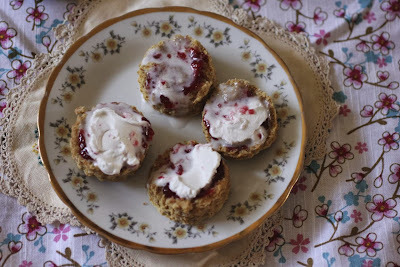 I am sending these scones to Healthy Vegan Fridays #70, an event run by Gabby @ Veggie Nook, Carrie @ Carrie On Vegan, Katherine @ Green Thickies. Preheat oven to 220 C and grease a baking tray. Mix flour(s), bicarb, and sugar into a medium large mixing bowl. Rub in cashew butter. Gently mix in soda water until the mixture comes together into a dough. Gently knead for a few seconds until the dough is smooth. Pat down to between 1 and 2cm thick on a floured surface. Cut into round scones with a scone cutter. 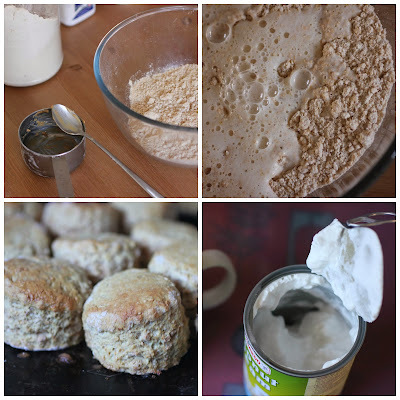 Briefly knead the leftover scraps of dough, pat out and cut into more scones. Repeat until all the dough is used. Place scones on the prepared tray. Bake for 10 to 15 minutes until golden brown (I found even after 15 minutes that my scones were slightly squidgy in the middle but maybe this is due to my oven being a bit slow.) Wrap hot scones in a tea towel and serve warm. Best eaten on day of baking but still edible the next day. This post is part of my TV Dinners series. You can see the other shows I have featured in my full list of TV Dinners posts. In each post I reminisce about a favourite television show and cook a recipe inspired by food on the show. I initially started this theme during Vegan MoFo in September 2013. In the middle of the year, I dabbled in chocolate making. I meant to continue and write more when I was more confident. However the burst of enthusiasm didn't last long. Then I found these photos while clearing up some photo files recently and decided it was worth writing about it. Maybe I will have another burst of chocolate making and find my notes useful. They make great gifts. The first chocolate I tried was an almond butter filling. I messed with the recipe and found that margarine wasn't a good addition. The filling went a bit dry but seemed ok once I tried it in the chocolate. I still like it in theory but would like to try it a few more times before feeling confident with it. The second chocolate was very exciting. 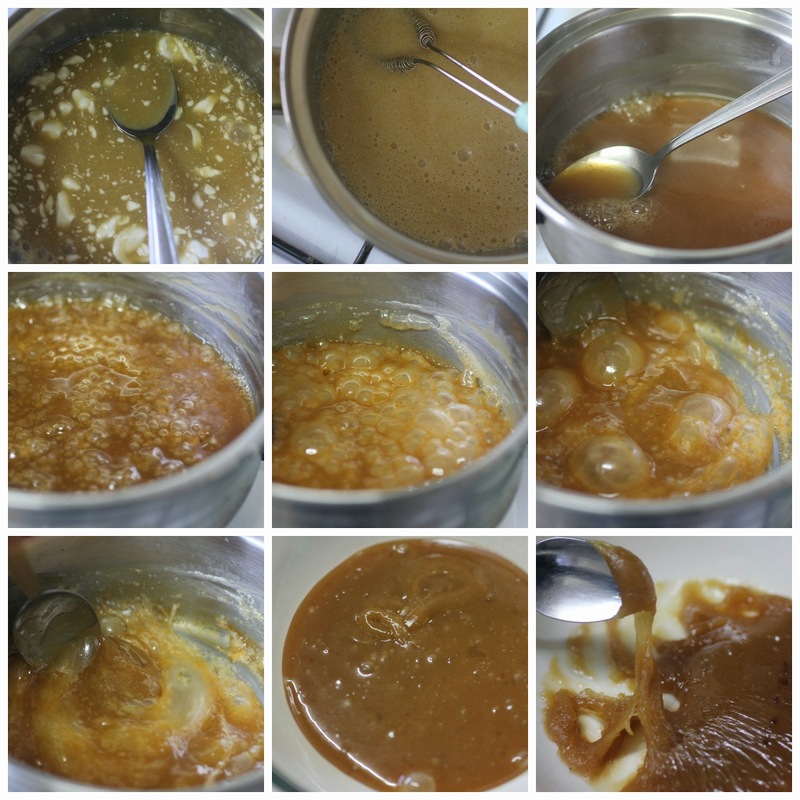 I made vegan caramel. I am very wary of any sort of caramel. It always sound hot and scary. And it usually involves a candy thermometer. Despite owning one, I never like the idea of putting it into a saucepan of lethally hot liquid. It wasn't perfect. Perhaps due to the lack of said thermometer. Above is the blow by blow photos of my caramel making. 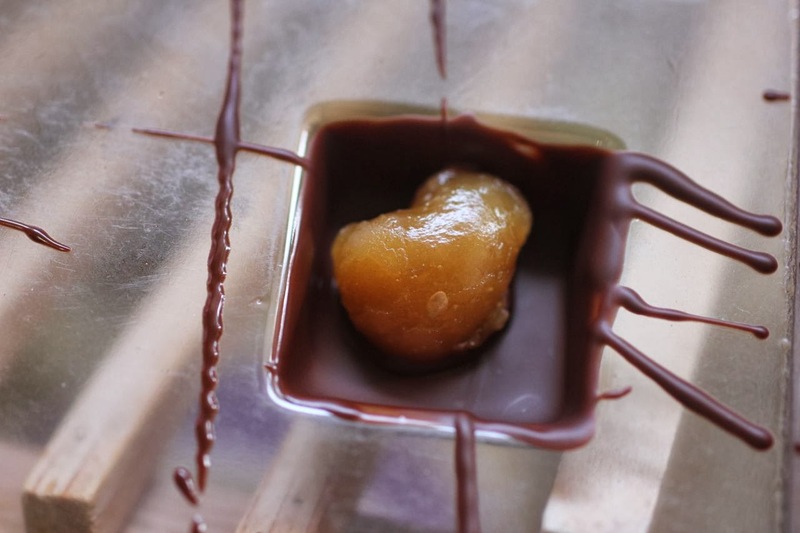 You probably can't see just how jaw breakingly chewy the caramel is, even in this close up. Sometimes the camera just can't convey texture or taste. But it was very very firm. I think I should have stopped cooking it a little earlier. And that is why people use candy thermometers. I hope I can just experiment and get a sense of when to stop. If I ever do this again. This other reason I didn't post about this straight away after making was that I sent this to my brother in law in Ireland (along with peppermint chocolates). 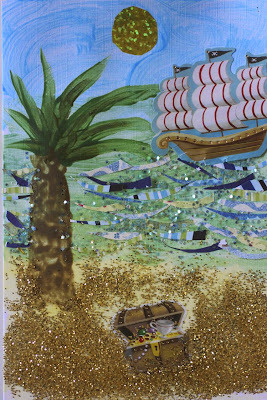 I was quite pleased with the card I made. So here it is. Fergal was very nice about the chocolates. Upon looking closely at the chocolates I noticed there is a bit of bloom. This is one of my other challenges with chocolate making. So here is my first stab at these recipes. Lots to work on. With Christmas coming up, I am wondering if I am feeling brave enough to make them for gifts. Especially in a hot Aussie summer. Stay tuned ... Or have a go yourself and let me know how it turns out. Mix all ingredients except chocolate. At this was easy to stir but after sitting a while it got a bit dry. I tried adding some margarine to loosen it up but this was a mistake. The filling I used before adding margarine was much nicer and worked ok in the chocolate. Stir together arrowroot and water in a small bowl and set aside. Whisk together maple syrup, coconut milk and rice malt syrup in a small saucepan. Gently heat and then stir all ingredients for 5 minutes over medium heat. Add arrowroot mixture and stir constantly until it thickens. I did this for about 10 minutes and it got so thick with stringiness and air bubbles. This made it was very chewy. I'd like to get it a little less chewy next time. Melt chocolate (in my notes I suggest about 100 - 200g dark chocolate). I do this in a microwave. Best to let some of the chunks melt out of the microwave at the end by stirring to avoid the chocolate getting too hot (which is part of tempering chocolate though I think more attention than this is needed). Use spoon (or chocolate paintbrush if you own such things) to cover the insides of a chocolate mould or silicone ice block tray. Place in the freezer to harden up (it only takes a short time - perhaps 10 to 20 minutes). I think this is one of the other moments to watch for bloom as if any moisture gets in during this time that can also lead to bloom. Take out of freezer and add filling. Roll the almond filling into a small ball or pull of pieces of the slightly cooled caramel filling and roll into a ball. Cover with chocolate. Return to the freezer to harden. Pop out of tray and keep in a cool dry place. 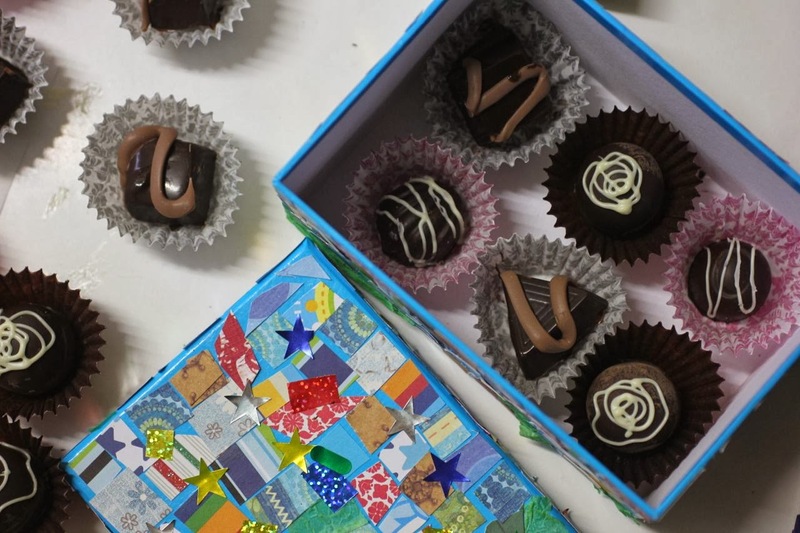 I prefer chocolate at room temperature but in hot weather I keep chocolate in the fridge, and as these are low in sugar they will not have a long shelf life. See my experiences with the orange and sweet potato filling. If you are doing more than one type of chocolate filling, I found it useful to put a little melted white chocolate or caramel filling in ziplock bag and cut tiny bit from corner so you can drizzle it over chocolates - a good way to identify different chocolates - and it looks pretty too if you have a steady hand. A large bag of masa lista has sat on my bench for simply ages. It is the first time I have purchased it. I tried tamales. They weren't quite right. I didn't feel any love for that giant bag of flour. Yet it is taking up valuable real estate. 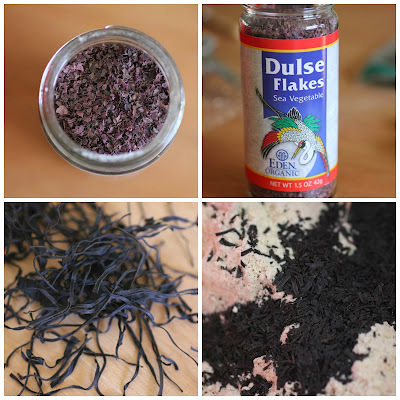 So it is a relief to find an easy recipe using the masa lista. 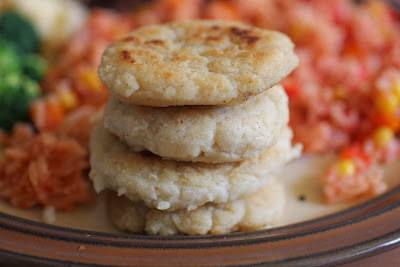 I followed Janet's example and made these excellent Arepas recently. I made them two Saturdays ago after I finally had a Saturday free to go to Coburg Farmers Market again after a busy October. We bought lots of nice fruit and vegies and lots of interesting foods. After we had filled our recyclable bags, I noticed a table of pens and glue and sequins. Craft! We went over and Sylvia made an elephant mask. 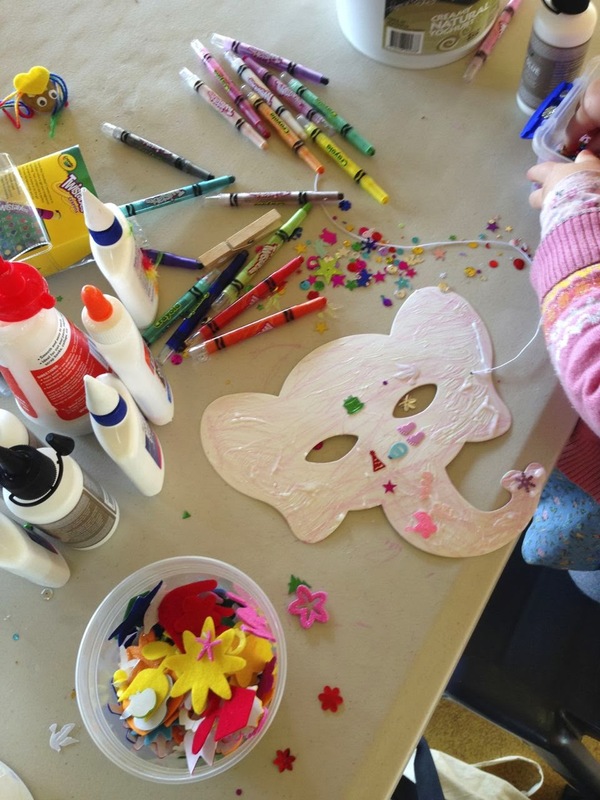 I was sorry to hear this was the last week of the craft table. We went home and had a lovely farmers market lunch. Pan-fried asparagus, fermented beetroot and Milawa white cheese on homemade sourdough bread. You might have expected that I would have used all the fresh produce for dinner. Um...no. I had leftover Mexican rice in the fridge and little energy for fancy food. It was a great opportunity to try out some arepas. Arepas are embarrassingly easy. You would think I might have tried them before. Given that I have that huge bag of masa lista (which I hear is quite like masa harina). 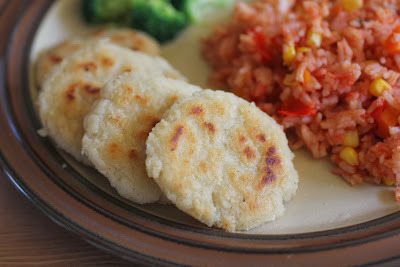 It was just a matter of mixing masa lista with water and salt, shaping into patties and frying. I skipped the part where Janet cooked hers in the oven at the end. I decided it wasn't worth it in my slow oven. I am unsure if this makes a huge difference. For the initiated, masa lista is a very fine corn flour that is treated with lime and used for making tortillas or arepas because it binds well into a dough. (According to this post, masa lista is made from white corn and masa harina is made from yellow corn.) I am yet to find masa harina in Melbourne. I can tell you that masa lista works well for arepas. The arepas were delicious. Crisp on the outside and soft inside, they reminded me a little of Scottish potato scones that we make from time to time. E and I loved them. They were great with Mexican rice, tofu bacon, diced cheese and steamed broccoli. Sylvia initially enjoyed them and then decided she only liked the crisp outsides and not the soft insides. It was just as well I didn't spend too much energy on dinner. We had a terrible night with Sylvia's favourite Dolly missing. It took us until the next evening to find her hiding in a box. 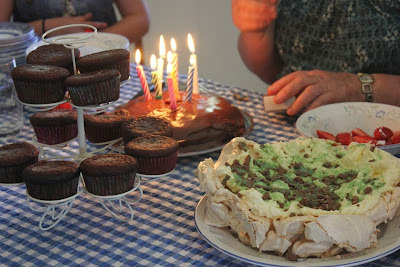 On Sunday we to visit my family in Geelong for my brother's birthday. Sylvia was delighted with her golden nail polish applied by my sister Fran. We still had leftover Mexican rice when we got home and I took the opportunity to try my hand at tortillas with the masa lista. It wasn't quite so straight forward. I am still experimenting with corn tortillas and once I am happy with them I will share more. Meanwhile, it is good to know I can make these arepas with ease. I will make my way through the masa lista! Kryal Castle - I saw this listed for a tourism award this week and was fascinated because I remember going to this faux castle when a kid. Mix masa harina, salt and boiling water until you have a soft dough that feels like playdough. Leave for 5 to 10 minutes (to make it easier to shape). Heat heavy bottomed non-stick frypan over medium high heat. Pour in about 1-2 tbsp of oil. 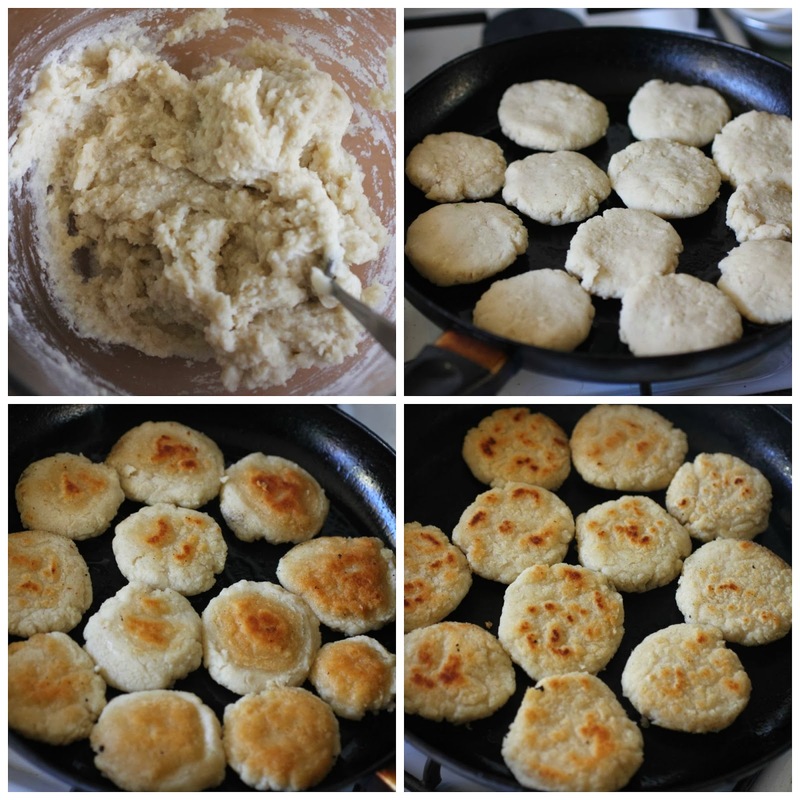 Place arepas in the pan and fry for about 8 minutes or until a light golden brown. Fry another 4 to 5 minutes on the other side or until golden brown. Serve warm. Best eaten soon after cooking.